The tests should begin immediately! There's no use in waiting! 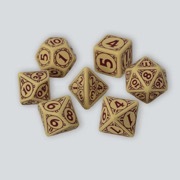 These Q-Workshop dice are keys to your doorway to the evolving world of Pathfinder Roleplaying Game. The basic color is sand beige as papyrus and the fulfillment of engravings is dark red paint as old ink from the giant octopus. 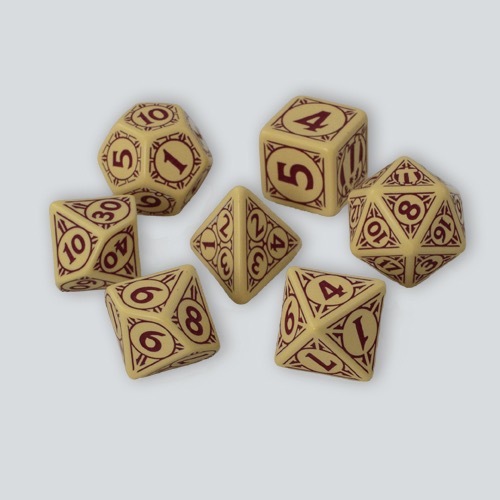 Note:This is a limited edition alternate color of the Pathfinder Playtest dice. Doi, how did I miss this. I have collected every pathfinder die so far. A real bummer. The red looks nice, actually the red and green together would be a nice contrast for multiple attacks.